Breakfast and dessert in one! 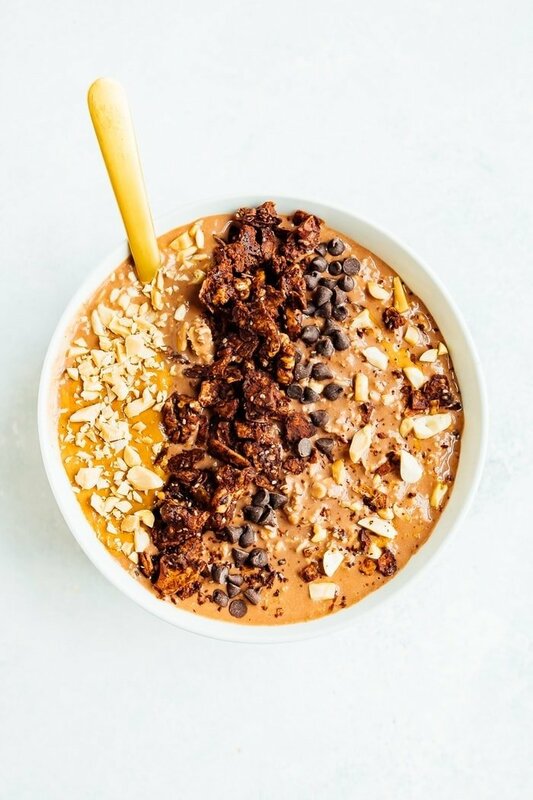 These peanut butter cup overnight oats combine chocolate and peanut butter for a delicious, filling breakfast that are on regular rotation in my house this summer. Overnight oats will forever be my favorite quick summer breakfast. I love being able to throw them together the night before and have a delicious, filling, chilled breakfast to enjoy! 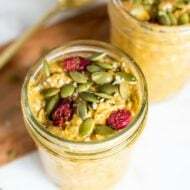 I have many overnight oat recipes on Eating Bird Food — like these summer fruit overnight oats or these zucchini bread overnight oats — but I was inspired to create a new recipe using one of my favorite flavor combinations… peanut butter + chocolate. The base recipe for any overnight oats recipe is usually simply oats and liquid. I typically use non-dairy milk (like an unsweetened vanilla almond milk) but use what you prefer! I like using the milk over water because it adds extra flavor and makes the oats creamier. I prefer to add some extra ingredients before refrigerating overnight just so the flavors can really marry – this is especially important for the protein powder so that it can dissolve and combine overnight. In the morning, all you have to do is add the toppings and enjoy! 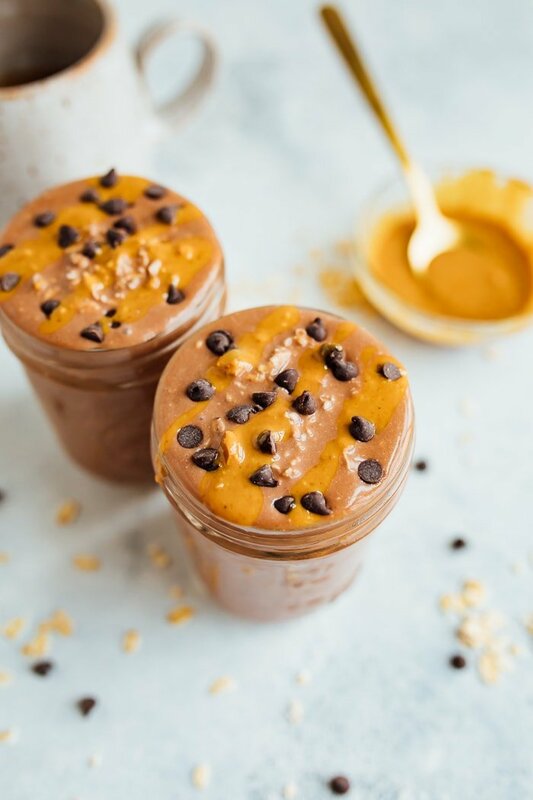 These peanut butter cup overnight oats are amazing because they combine chocolate and peanut butter. Best combo ever, right? 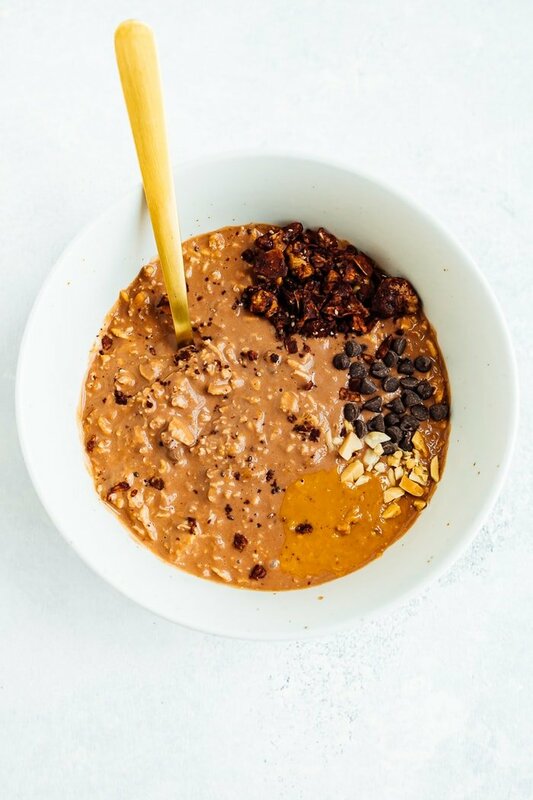 The oats are packed with flavor from the chocolate protein powder, chocolate chips and peanut butter, but if you’re looking for a little more chocolate flavor, I highly recommend topping them with my chocolate grain-free granola. It’s so good! I also love overnight oats for on-the-go breakfasts. 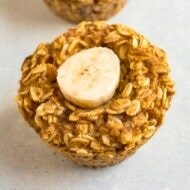 They’re great for bringing to the office for a healthy breakfast and great for traveling! Breakfast and dessert in one! 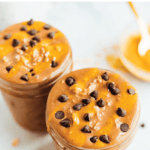 These peanut butter cup protein overnight oats are a delicious, filling breakfast that are on regular rotation in my house this summer. Add oats, protein powder, milk, vanilla and ½ Tablespoon of peanut butter to a bowl or jar. Stir or shake well to combine, until all the protein powder has dissolved. Seal container with a lid and place in the fridge overnight. In the morning, remove bowl or jar from the fridge and stir/shake the mixture. You’ll notice that the oats soak up a lot of the liquid, so you may want to add a little more milk before serving. Top oats with chocolate chips and remaining peanut butter for serving. 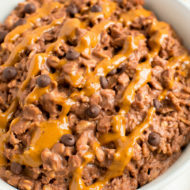 Chocolate protein powder works great in this recipe, but chocolate peanut butter protein powder is amazing as well. 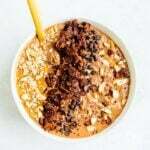 If you try these peanut butter cup overnight oats definitely leave a comment and star rating below. 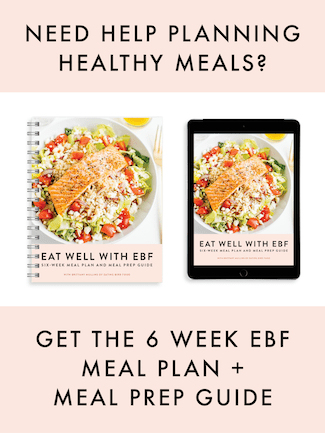 Your feedback makes my day and is super helpful for other EBF readers as well.